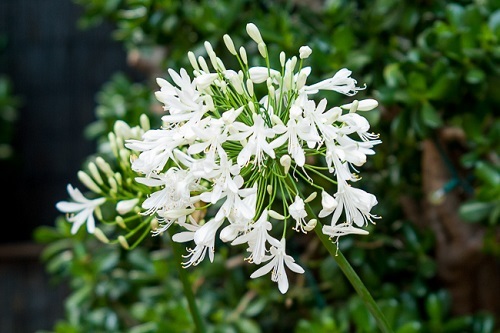 Agapanthus large WHITE. 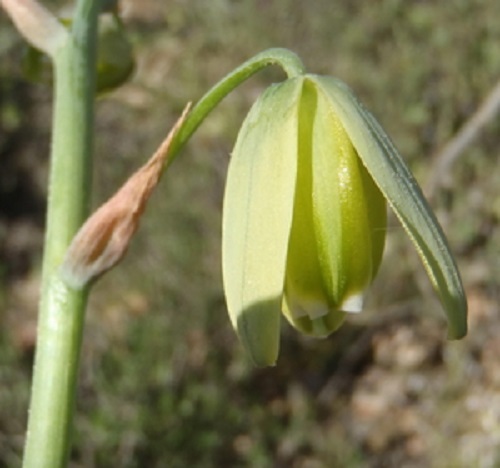 (Liliaceae). 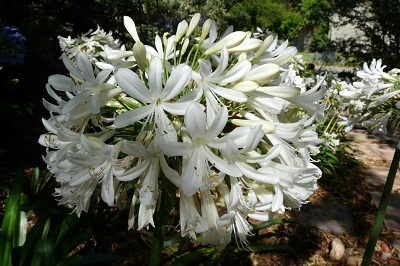 - Giant White Agapanthus (e), Bloulelie (a). 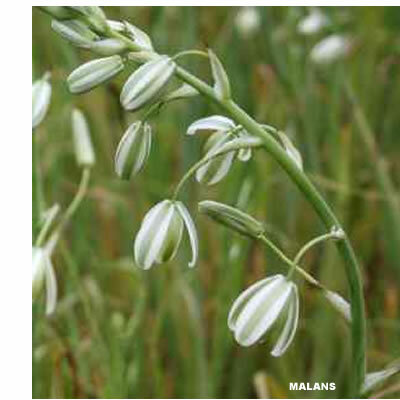 This well known, hardy, evergreen plant has attractive strap-like leaves and umbels of white flowers borne on long stalks in mid to late summer. They make good cut flowers. 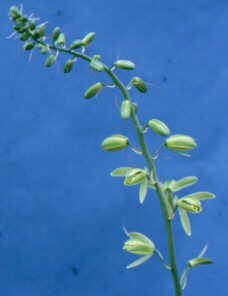 Albuca angolensis (abyssinica) (Hyacinthaceae). Sowing: Sow seeds in summer. 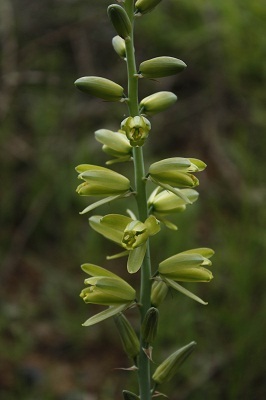 Albuca cooperii. 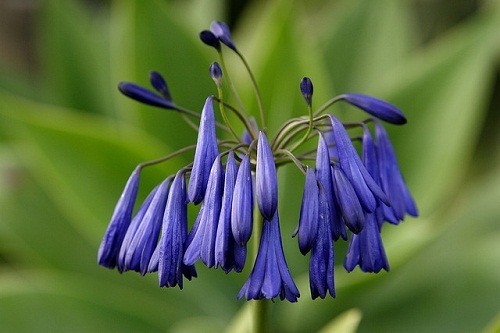 (Hyacinthaceae). 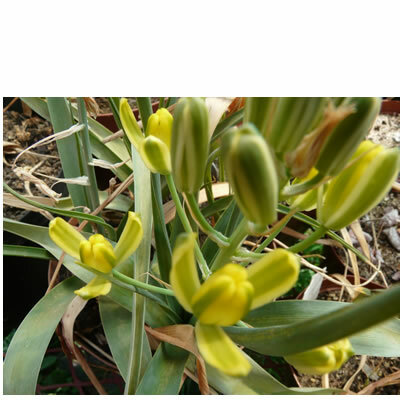 The plants can reach a height of 60cm. 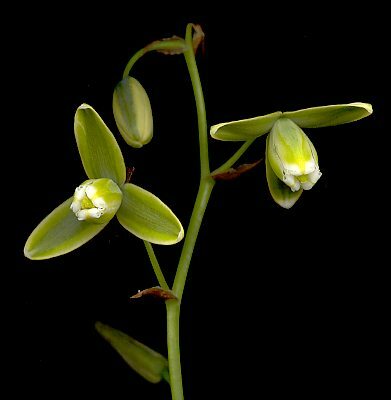 It prodices 2-3, slender leaveswhich are warty at the base. 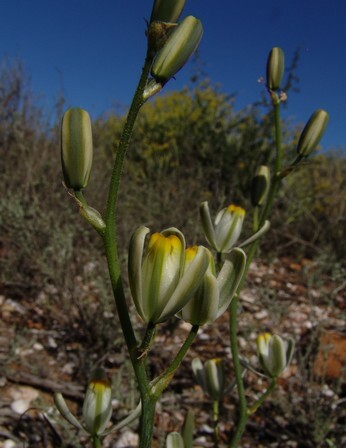 the flowers are nodding, yellow with green keels and about 15-25mm long. They appear in springtime.